Multi-purpose is defined as an item that has several functions or purposes such as being able to use cleaner on several types of surfaces to avoid having to buy multiple products. Sugar is a good example in the food world because it can be used to sweeten drinks, create desserts and even add a touch of flavor in savory dishes. However, honey is a product that goes a step beyond being just another ingredient and also extends into the world of beauty and skin maintenance. New Zealand Manuka honey has a wide range of functions including being used in syrups, oils, soaps, face creams and sweetener. Customers can purchase a couple jars of this unique honey and keep one in the kitchen for eating and one in the bathroom for their daily beauty routine. It has been proven to moisturize, cleanse and provide a healthy look to hair, skin and nails making it the ideal ingredient for those who prefer all-natural solutions over man-made products. 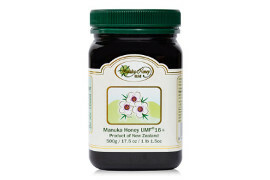 Shoppers can go online and purchase New Zealand Manuka honey from reputable vendors that guarantee their product is 100% genuine and has the required information to back this up. In addition to Manuka you can also purchase Kamahi which has a honey butter flavor or Blue Borage which has a mild taste that men prefer. Each of these items can be purchased and shipped directly to your desired location as a personal ingredient for your cabinets or as a gift to someone who appreciates special flavors and sweetness combined into one jar. Manuka honey is not something you can buy off the store shelves and if available is generally not pure so take time to go online and find the right vendor who sells a quality product. It is always fun when you can save money in a 2-for-1 deal or even better buy one item and be able to use in many different ways saving you money in other ways. Check out the online description of New Zealand Manuka honey with recipes, tips and ideas on how you can improve your culinary cuisine and facial tone with the same great item.